Proof that it doesn't have to be hard to have a great shine! 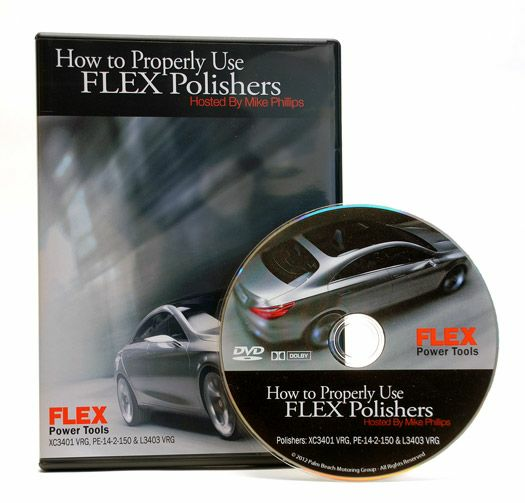 For a limited time only receive the How To Properly Use Flex Polishers DVD FREE with your purchase! Retail Value $9.99. 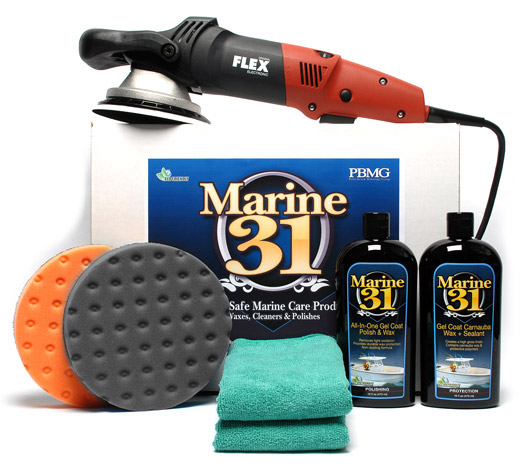 The FLEX XC3401 Marine 31 Boat Polish & Wax Kit is proof that a great looking shine doesn't require days to create. Marine 31's easy-to-use, harbor-safe products make it easy to create and maintain a high-gloss shine on your boat's gel coat -finished or painted. Instead of spending hours rubbing your gel coat in search for that shine that radiates across the bay, let the powerful forced rotation dual-action FLEX XC3401 do the work for you. This rugged machine doesn't mind! Your dock mates will think you spent days shining your gel coat. You'll be too busy piloting your boat on the seas to let them know the FLEX XC3401 Marine 31 Boat Polish & Wax Kit did the work for you! The FLEX XC 3401 Dual Action Polisher combines an orbital motion with forced-rotation for the perfect shine! The FLEX XC 3401 Orbital Polisher is a true forced-rotation dual action polisher! What that means is this polisher not only orbits but it also rotates too, at the same time. This dual action gives the Flex XC3401 superior paint correction ability. A total retail value of $488.93 You save $48.94!